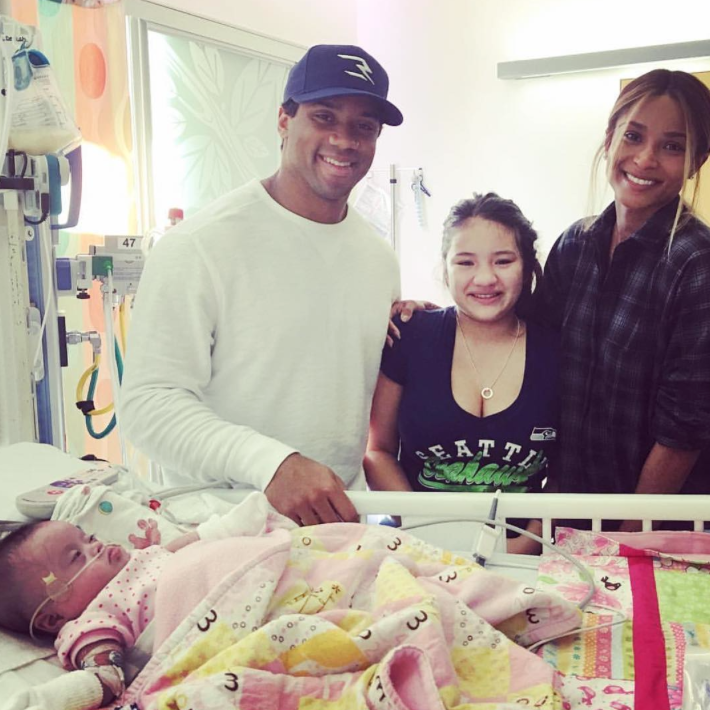 Ciara and Russell Wilson are soon to be mom and dad to a brand new bundle of joy but they don't let expecting their new arrival slow down their charitable giving. 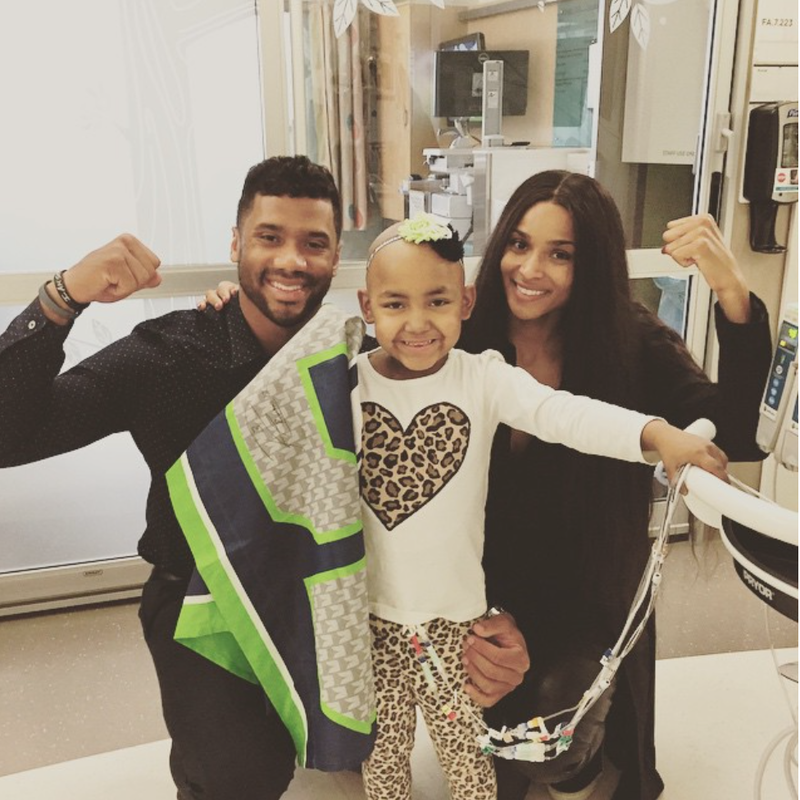 The couple spends time at the Seattle Children’s Hospital where they lend their time and talents to bring smiles on the faces of children riddled with cancer. 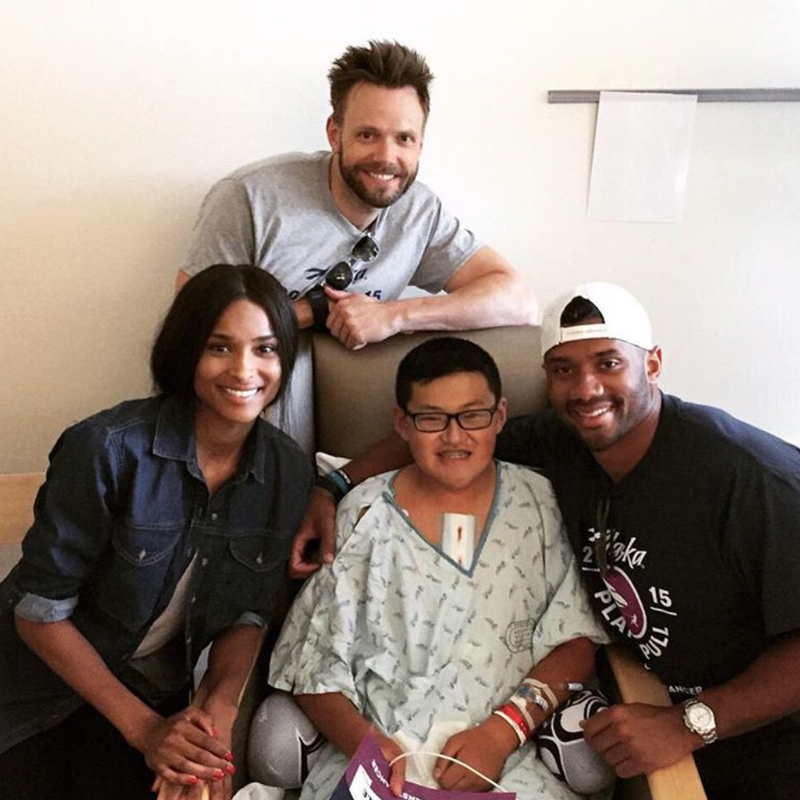 See 11 times the Wilson's used their love for good through charity. 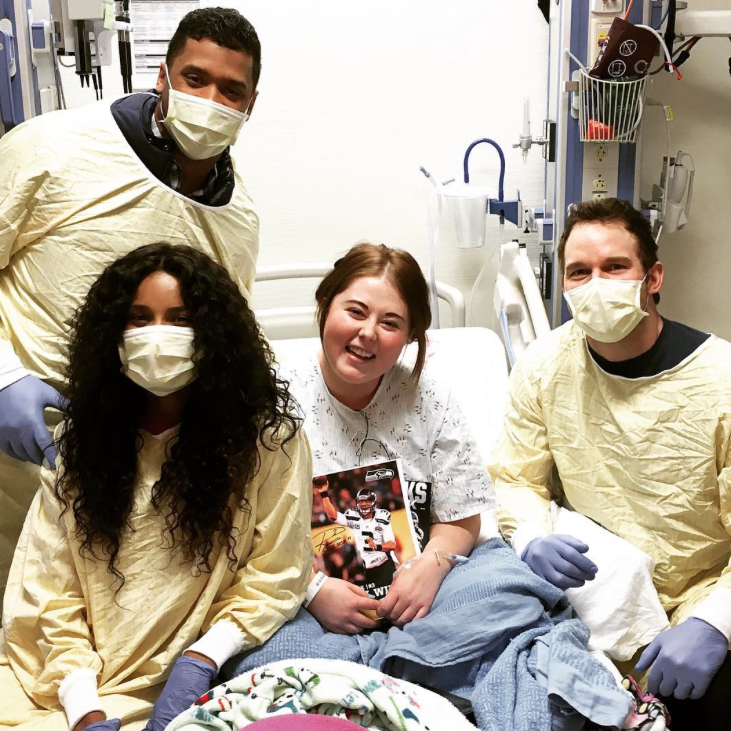 The couple was joined by a famous friend to make a child's day. It doesn't get much better than that! 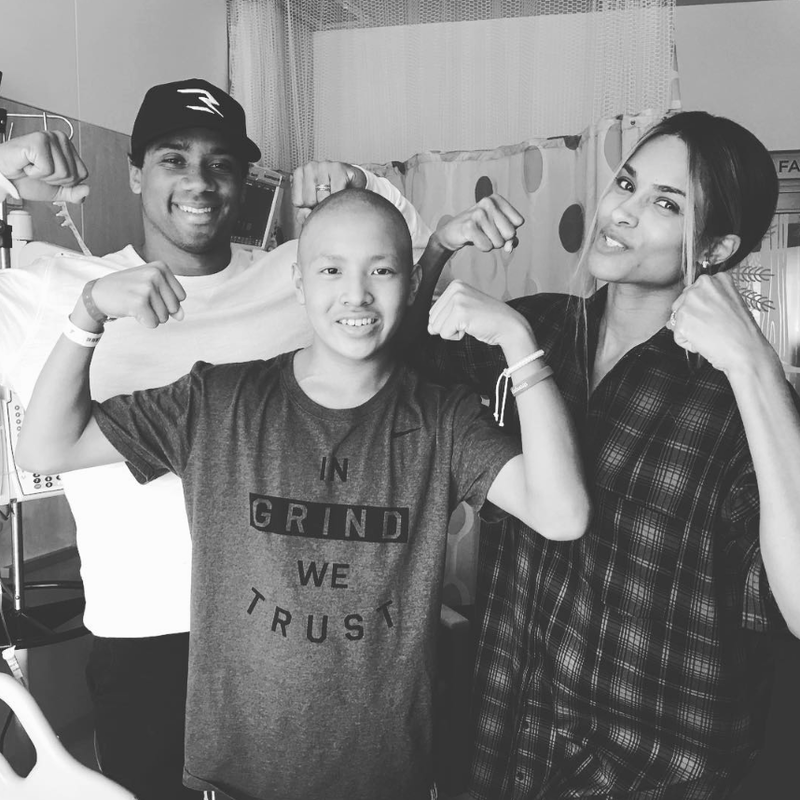 These two use their love stand strong in the fight for cancer. Their dedication shows! Everyone is all smiles even on the rough days. 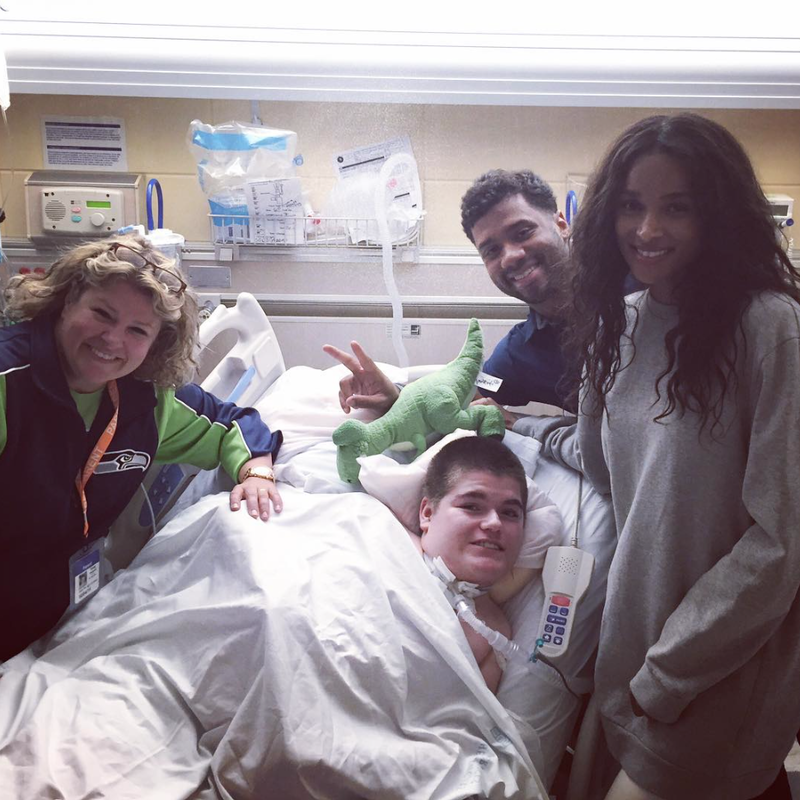 Ciara and Russell definitely bring nothing but light when they make visits to the hospital. 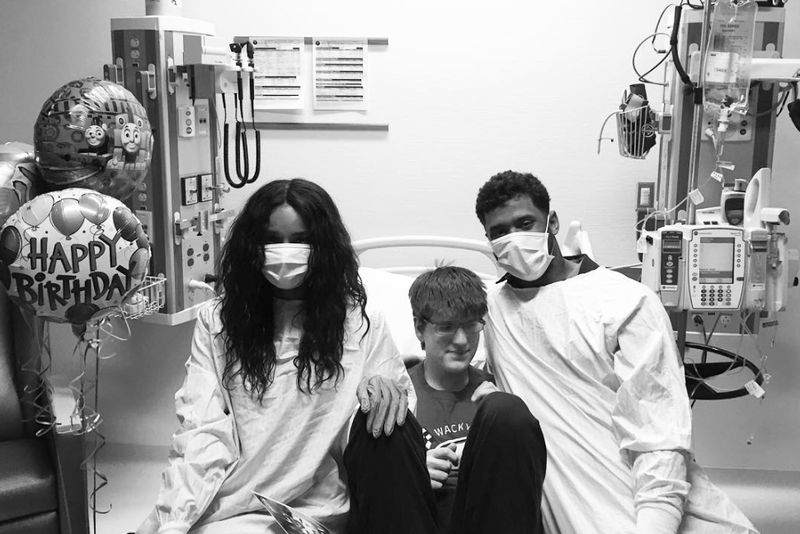 The days aren't so bad when Russell and Ciara pop in to pep you up! 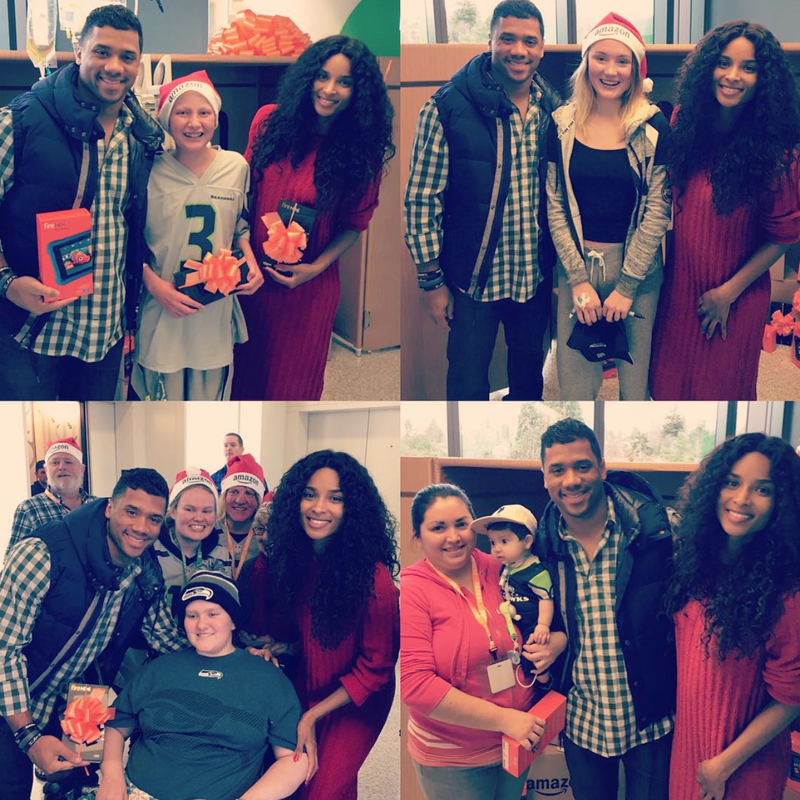 Ciara and Russell are definitely two dope santa's helpers! 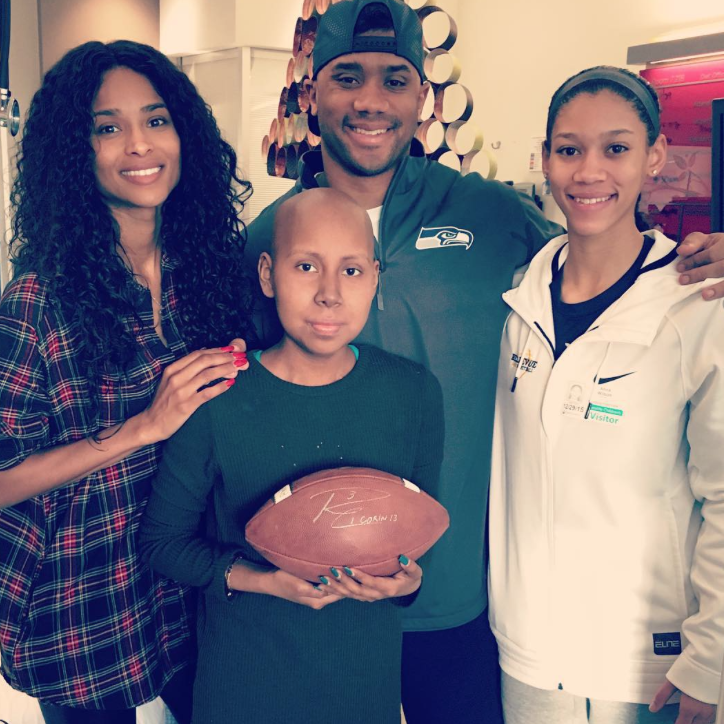 An autographed football to brighten your day from Russell Wilson is never a bad idea. 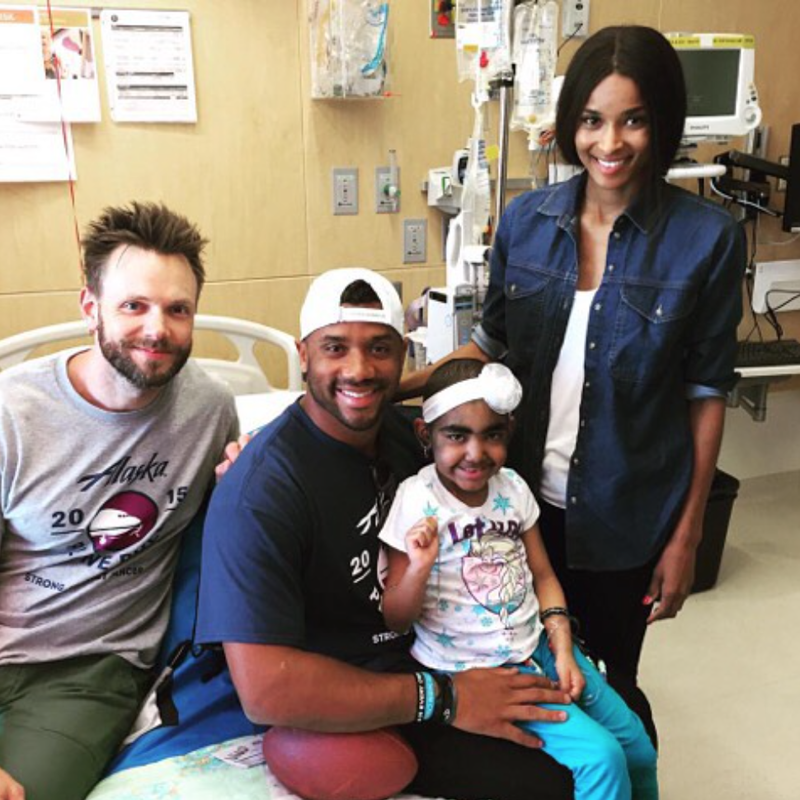 Ciara and Russel bring some peace to the tiniest of cancer patients. Video games hand delivered by CiC and her man are the best! Work hard, fight hard--that's the name of this game! "Delilah is an angel just like her sweet mom! 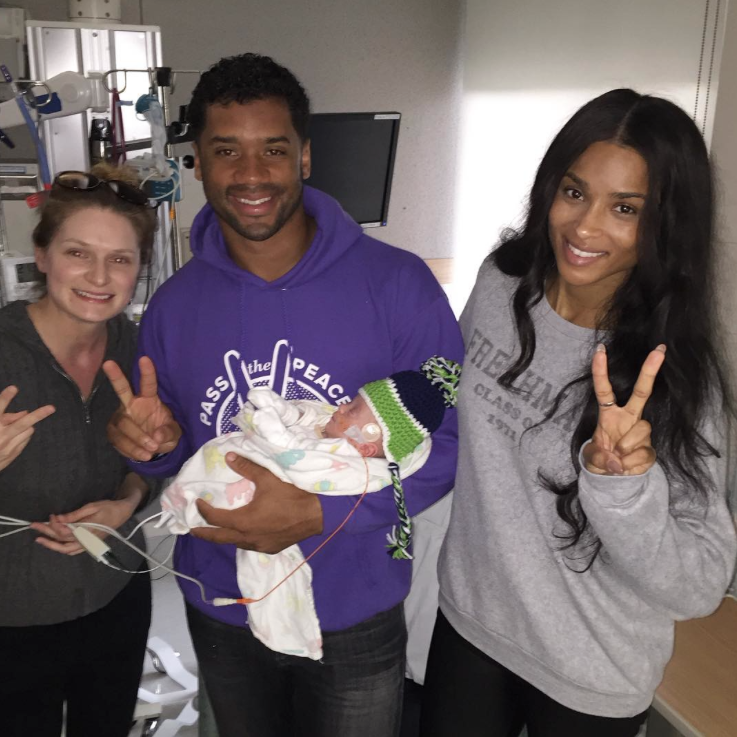 Her mom was wayyy more excited to [see] Ciara than me haha!," Russell wrote in the caption.